Somebody said, that there are two ways to live: one – to think, that miracles do not exist; the other – to believe, that all life is a miracle. We have chosen the second one. We discover miracles in the Universe and we make miracles by our own hands. Things we create can be called the alchemy of art, esotericism and nature. Home talismans are unique interior decor elements, which purpose is only to decorate your home, but also to make it a place, where you can feel safe and cozy. Talismans share their energy with you, clean surrounding space, harmonize, attract happiness, luck or other things, which are specific for them. Some features of talismans are given by nature, some of them – by a human. It is known from the ancient times, that gemstones have a special influence. One gemstone fits for everybody, the other – almost for none. Sensitive people can feel, what kind of gemstone they need this moment. Otherwise, it is recommended to read a specification. And if you are looking for something more, something, that is made special for you, you can order personalized talisman. Collect stones on your way, as one wiseman said, because you can made your dreamed home of them. 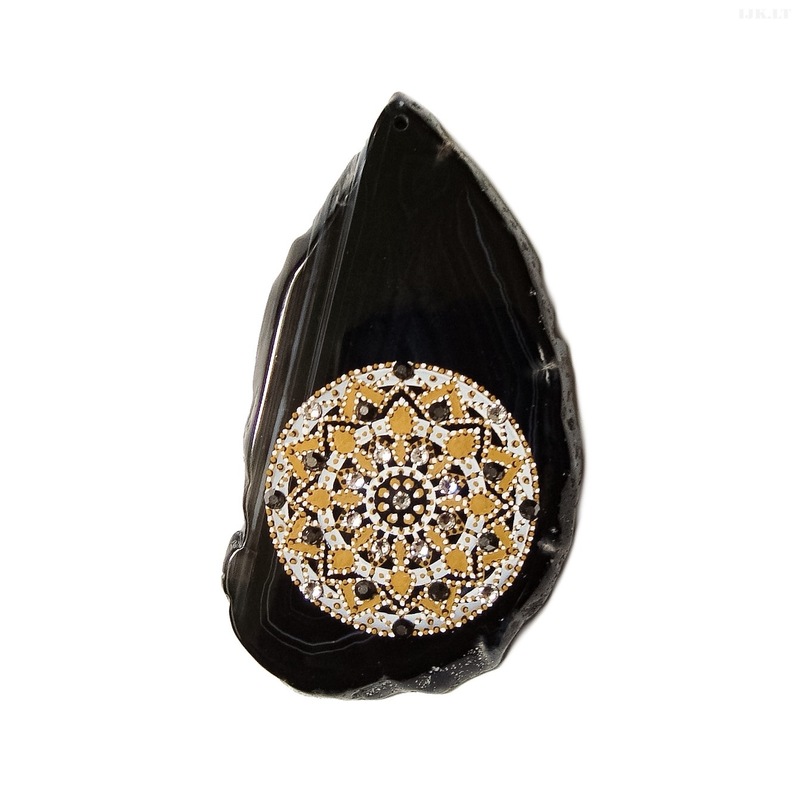 Agate gemstone, handmade painted by an artist and decorated with Swarovski crystals. Size on photo: 8 cm. Made by order (30-70 €). Serpentine gemstone, handpainted and dekorated with Swarovski elements. Size: 4 cm.